Rev. Bailey Barkley and his family moved to Lubbock from Abilene in the summer of 2012. Originally from the small town of Gruver, TX, Bailey graduated from Texas Tech University in 2000 with a degree in Psychology and in 2004, received a Master of Divinity from Asbury Theological Seminary in Wilmore, Kentucky. Bailey has served churches in Texline and Abilene, including The Journey United Methodist Church which Bailey planted and developed. Bailey enjoys spending time with his family, playing and watching sports, and having good conversations over coffee. Bailey serves as the preaching pastor for the contemporary worship services as well as the young adult minister. 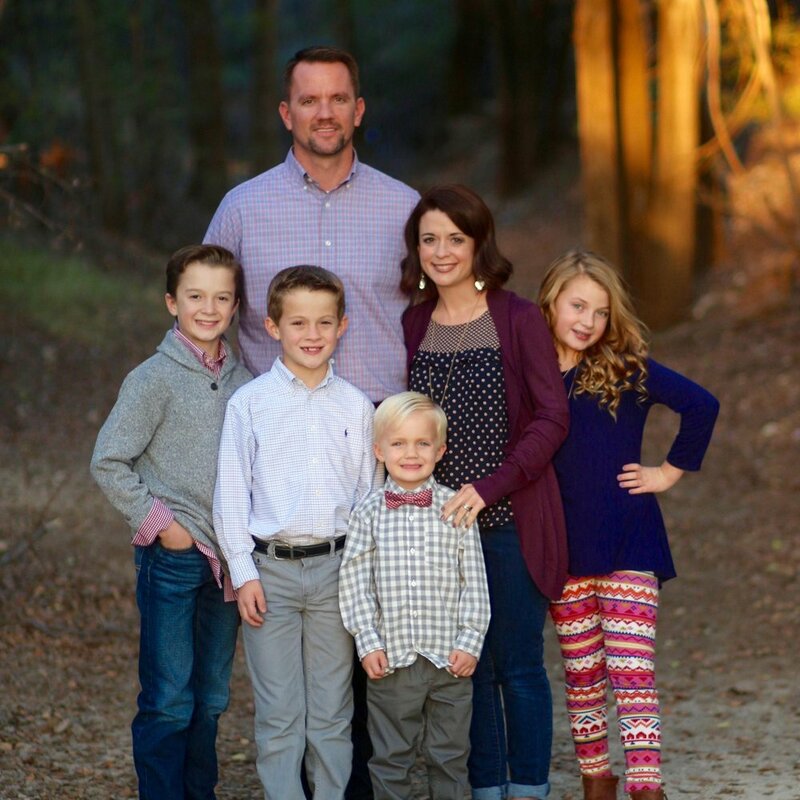 Bailey married Randa in 2000 and they have four children: Dayton, Ella, Hudson, and Brennan. Randa grew up in Fort Worth and graduated from Texas Tech Health Sciences Center in 2000. She is a Registered Nurse but currently works as a full-time mom.